Please note I say so-called cuts because what the PLQ is claiming is that they didn't actually cut any money from last year, they just increased the education budget by less than what the government usually does. I do not know the details and as such, will refrain from passing judgement on this. However, there is something really clear I want to express: any money spent on education is not only spent by the government, but usually needs to be spent recurrently. Adding 1 billion in the education budget this year would help a lot, but what about next year? And the year after? 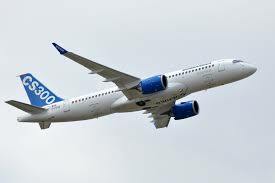 The 1 billion invested in the C300 series jet from Bombardier however is a one time investment in exchange for a 49.5% participation in the joint venture between the Government of Québec and Bombardier. In theory, if the jet is a success, the Government should see a return on its investment both in actual profit and in income taxes on employees working on the successful project. So why is the government investing in a company in the first place? But here's the thing, the Québec government itself isn't putting a single penny into Bombardier. Instead, it's one of it's institutions: Investissement Québec which does. So, the job of Investissement Québec is specifically to invest in projects which can help the economic growth of Québec and it has been the case since 1962 back when it was the SGF. In short, instead of giving money to companies in need, the government wants to invest which in my opinion, is infinitely better! I am 100% against grants given to companies, but what about investments? I do not know if the government did a good thing in investing a billion. I do know that the Areospatial industry is a big portion of the Québec economy and I feel like I can somehow trust the government on this when they claim they did a profound study of all of the variables on this project. This is a major difference to the McInnis cement plant investment which was apparently done with little real impact inquiry. Instead, my question is: can we trust Bombardier? The four children of the founder Joseph-Armand Bombardier famously control 85% of the Class A shares which each have 10 times the votes of their general Class B shares and as such, despite owning a small fraction of the total share values, they control 54% of the total votes. In this particular project, the government does get 49.5% of the votes of the new venture, but that's still low enough to let Bombardier control the company, and that's where I have a problem.. Shouldn't the government require more guarantees? Do we have a certainty that the subsidiary cannot simply vote to sell the C300 series back to the parent company leaving the Québec government in the dirt without a fair return on its investment?